As a part of initiatives utilizing big data, NYK and MTI Co. Ltd. have developed an advance alarm system (patent pending) that can detect anomalies on a real-time basis caused by water getting in lubricating oil. This alarm has been installed on Haramachi Maru, an NYK-operated vessel, to prevent such troubles and thus realize high-level preventive maintenance for the engine. Controlling the quality and property of lubricating oil is very important for vessel engines to operate stably. In particular, water can contaminate lubricating oil when cooling water for the engine leaks or the oil purifier fails, during which time the bearings and other components can be seriously damaged. NYK used to periodically send extracted lubricating oil to an onshore lab for moisture content analysis because determining the moisture content in real time was not possible. 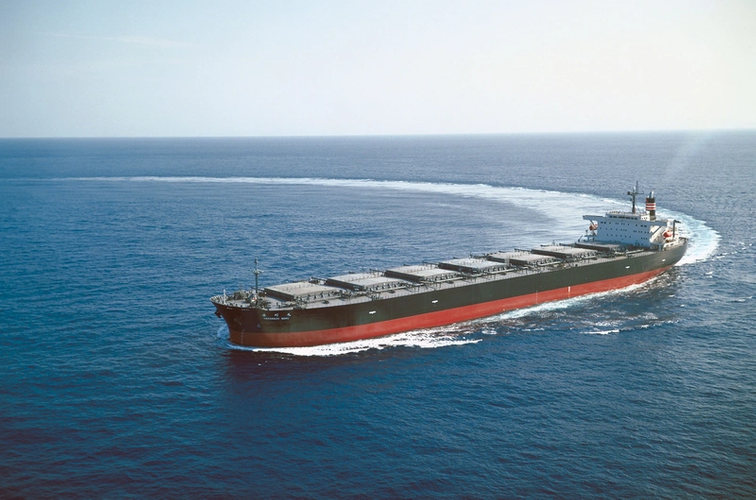 To address this issue, NYK conducted an onboard trial for more than a year in which data was gather from a sensor that had been equipped to measure the moisture content of the lubricating oil for the main engine. The results then showed that there is a strong correlation between the relative moisture content and engine-room humidity/temperature, operational data that is collected by the NYK Group-developed SIMS device. The new alarm system was then developed. The advance alarm provides early warning signals when the permissible range between the actual relative moisture content of lubrication oil exceeds the proper moisture content for the surrounding environment based on the temperature and humidity in the engine room. After detection, immediate action can be taken at an early stage. The NYK Group will continue to install this advanced alarm on vessels and enhance safety vessel operation by detecting anomalies in lubricating oil at an early stage. Further, the group will collect and analysis data gathering from onboard sensors, and develop a new alarm to be used for the generator. In its medium-term management plan “Staying Ahead 2022 with Digitalization and Green” released in March, NYK announced a strategy to achieve sustainable growth. The NYK Group will make use of the latest digital technology and will achieve more advanced operational management and preventive maintenance for further Condition-based maintenance (CBM) to create new value.